Only a few hours to go and millions of Windows 7 and Windows 8 users will be able to get their free Windows 10 upgrade. While we may still be hours away from the actual release time, Microsoft has already starting pushing out some preparatory files to users’ computers through Windows Update. Considering the fact that millions of users will be receiving the update tonight, Microsoft has already started to pre-load the required components for Windows 10 on the reserved machines. This is an important step to avoid the annoying server issues that we often experience on release days. By sending out all the required installation files to the reserved computers, Microsoft is making it certain that users are able to install the OS starting July 29, as promised. Reports have confirmed that some users have noticed a new $windows.~BT folder in the OS partition weighing around 3GB and possibly containing installation files. The operating cannot be installed right now and it would only be possible when Microsoft officially launches it at midnight. Windows 10 is Microsoft’s answer to all the hate that Windows 8 received. While keeping up with the tile-based design, Windows 10 aims to be highly intuitive and user-friendly just like Windows 7 was. We can’t be 100% sure about how will users take it but for now it seems to be one favorable operating system. The latest OS brings a culture-savvy Cortana, improved universal apps, Xbox app, and several other important changes and new features. Starting today, developers can begin submitting apps to the store for approval. Users might have to wait a little time until the Store is updated with all the latest apps. Stay tuned as we bring more news and reports of this last Windows release. Suffering from indecision as to whether to go for this upgrade or not? 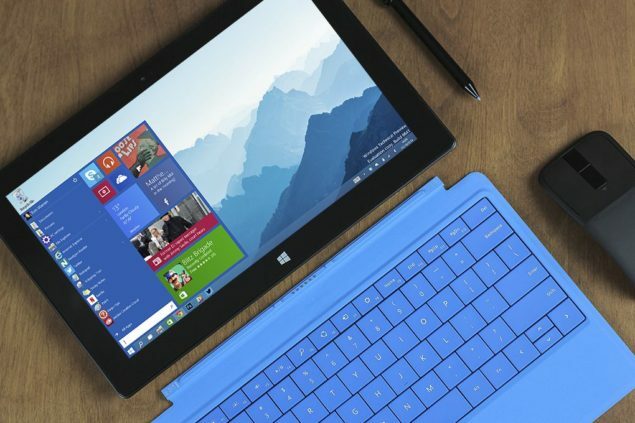 We have outlined top 5 reasons to upgrade to Windows 10 and 5 reasons that might put you off. Let us know what you decide!